I will be doing my first workshop in one of a kind Italy on May 3rd – 13th, 2017. 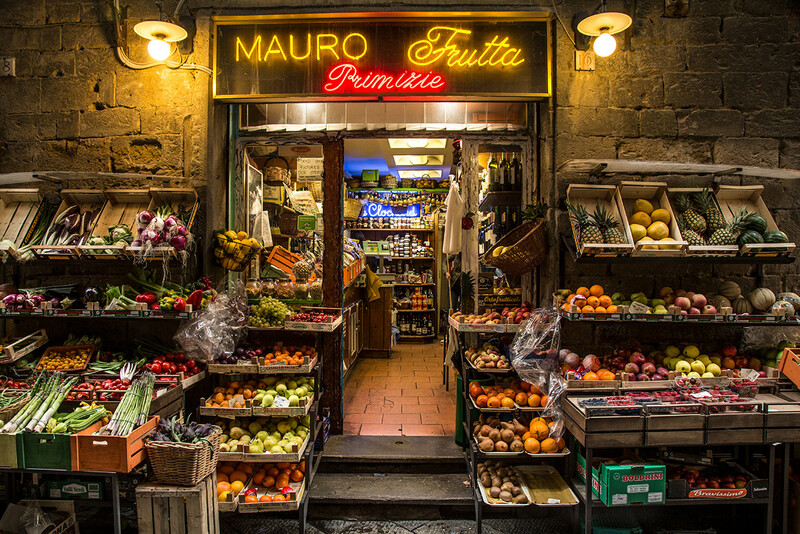 I am Incredibly excited about this workshop as I have been to Italy many times and know some of the best places for photography that this amazing country has to offer! I actually did the exact same itinerary, for the second time, with my wife Holly, two months ago just to go over everything perfectly for this workshop. From the hotels, to the trains, to the perfect place and times for incredible photography of this beautiful place, this is one workshop that will guarantee you come back with some of the best images you can imagine! I am also taking a max of 8 people as I want a small group for a much better experience and be able to give better personalized instruction throughout the entire workshop! The itinerary will be below with photographs and we will hit my favorite spots for photography while staying mostly up in the north of Italy. We take water taxis in Venice and explore the best parts of possibly the most beautiful city on earth, including the colorful town of Burano. 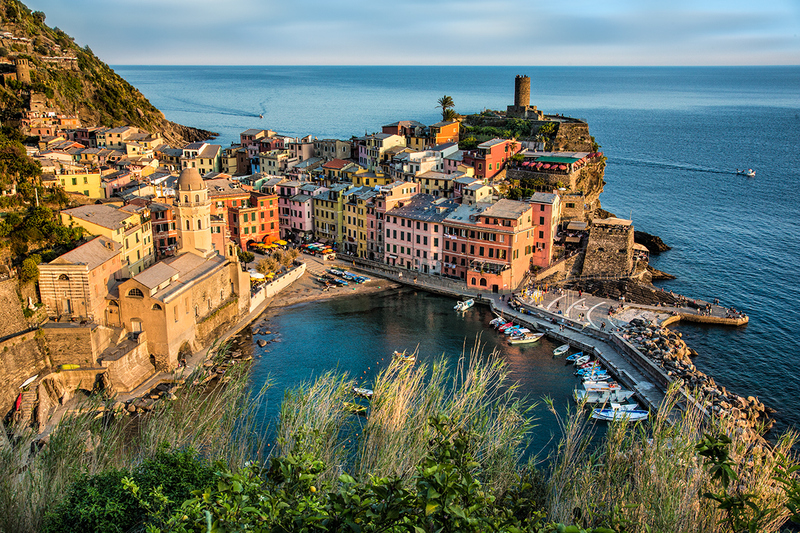 We will take a train to the one-of-a-kind Cinque Terre, “The Five Lands”, which is one of my favorite places on earth to photograph and about as photogenic as anywhere you can imagine. 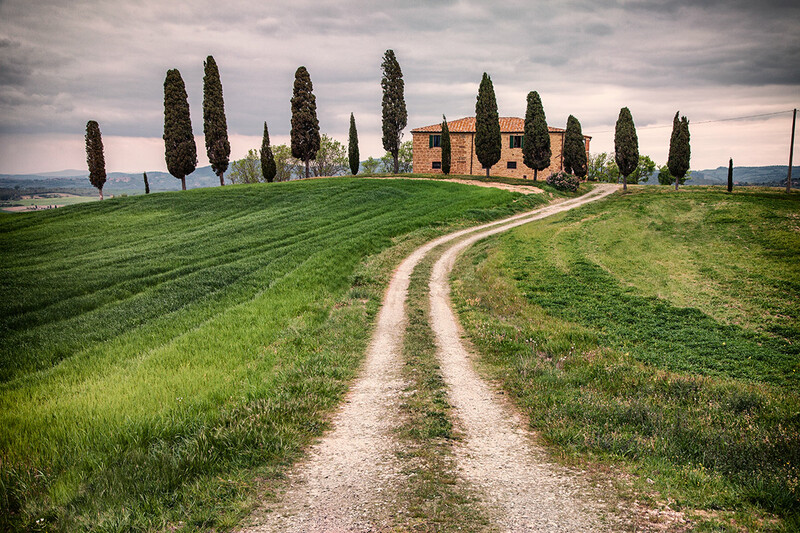 We will board a train again after a couple of days and head off to Florence, to rent two vehicles that will let us drive to some of my favorite parts of Tuscany and get some of the most famous and iconic shots as I absolutely love exploring Tuscany…. and we will be there with the best weather hopefully! 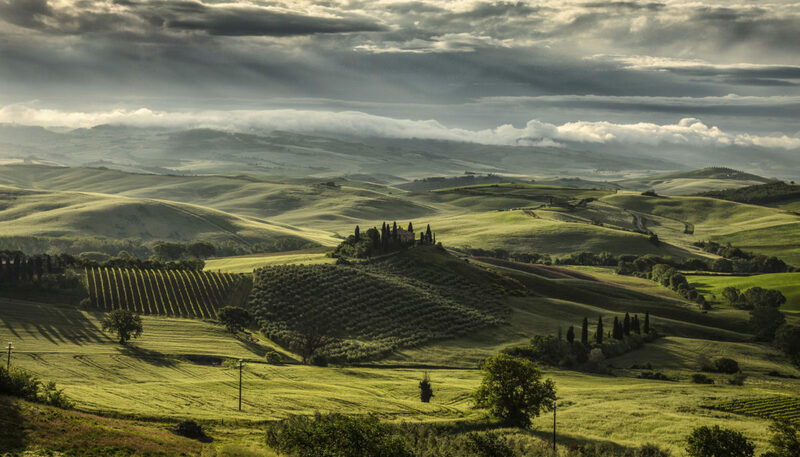 We will also be staying in my favorite part of Tuscany, close to some of the most iconic and magical spots of the region. We will then end the journey by driving to Florence and spending the last two days in one of the prettiest cities in all of Europe. To me, this is about as good as it gets for photography of amazing Italy! The trip will include all transportation from water ferries to trains to our vehicles in Tuscany but there were also be plenty of walking in and around these amazing locations as exploring the beauty of Italy is contagious. We will be together as a group much of the time but also will in be plenty of places where you can be on your own as Italy is about as photogenic as anywhere in Europe! All the accommodations will also be included with some beautiful hotels in different cities and hoping also to include most breakfasts, but not lunches or dinners. That is just too hard to figure out for everyone. However, needless to say, one of the highlights of the entire trip will be the food! If any of you have seen the movie Eat, Pray, Love….. and you saw Julia Roberts going crazy with the incredible food from Italy, then you will know what to expect! 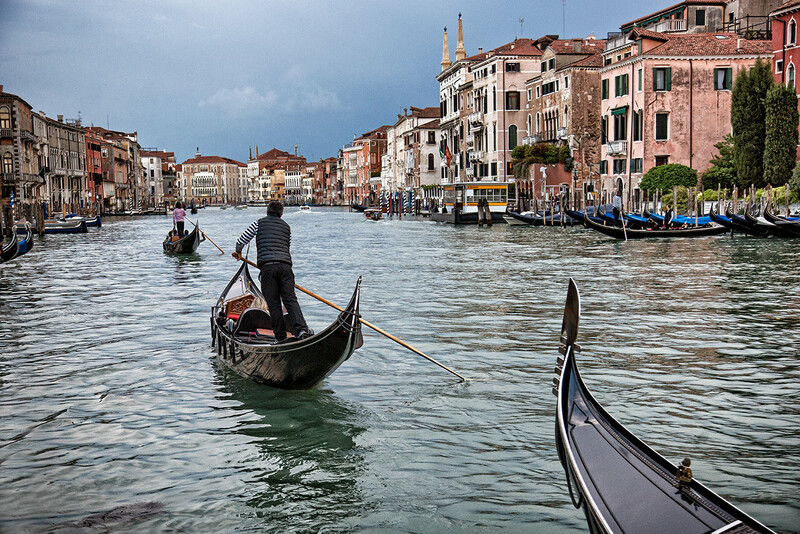 We will all fly into and meet up in Venice and I will give you all directions to the hotel and even try and meet you if possible where the Alilaguna traghetto public ferry will let you off at San Marco. At the end of the workshop, we will fly home from Florence, so when you book your tickets, which I can help you with, this is called a multi-destination trip and not a round-trip. You arrive in one city and leave from another and I do this all the time. It’s usually not that much more money but gives you so much more flexibility! I am limiting this workshop to a maximum of 8 people as I said above, as the experience and logistics will make for a better tour with less people. The workshop will cost approx. $4,800 and includes pretty much everything except lunches and dinners and your flight to Italy. The workshop is based on double occupancy, which is two to a room, as most workshops are. A single supplement fee to have your own room will be approx. $1,050. If we cannot find someone to share a room with you, you will have to pay the single supplement fee and have your own room. Also, there will be a limit on the size of your luggage. If at all possible, smaller size luggage will be best for this workshop. Carry on size which is approx. 22 x 15 or so. After doing this same itinerary a few times and having to deal with all of the steps and bridges and water taxis and also being able to pack all the luggage into our vehicles, we have to have smaller luggage for everyone. This means taking less clothes of course and we will try and do laundry on the way, hopefully at the hotels or close by. Smaller luggage is the key as this is what I need from everyone to make the trip go smooth as possible! I will be helping everyone individually with their photography and help them to understand the best ways to capture this beautiful country. I will be with everyone all the time except the times where people can go on their own and explore. We will be shooting sunrises in different places and also amazing sunsets all over from some incredible vantage points. We will also be shooting a lot after dark after the sun goes down. If you know my work, you know how much I love shooting after dark as the night time brings a totally different feeling, especially in Europe. We will be looking all over, in every city for fantastic after dark photo ops! This workshop includes a reasonable amount of walking or hiking and requires an average level of physical fitness. You can leave some camera gear in the hotel room as you might not need everything all the time but when we are in vehicles, you can bring it all with you. The climate at this time in Italy is usually perfect but it can get cool and also can rain during this time so be prepared for anything. Most of the time, it should be pretty mild and enjoyable although we will be hoping for clouds as much as possible. Shorts are good to wear most days but the weather can change anytime and nights can be cooler so it’s also good to have fleece to layer in case it gets chilly. I would wear hiking shoes or tennis shoes if you can as there will be a lot of walking all over. I also like to wear good sandals such as Tevas as they also cut down on bringing so many socks. A light rain jacket is a must also as the rain can pop up anywhere. The currency in Italy is the Euro. The best place to exchange money is probably before you leave the US but you can also use ATM’s which are all over Italy so bring your ATM card. I would bring enough for emergencies, tips and if you would rather pay cash for meals and anything else. I usually like to use my credit card for most purchases but cash is important o have with you! All travelers will need a passport valid for at least 90 days following your departure date from Italy. However, they strongly recommend traveling with 6 months validity on your passport at all times. Italy uses 220-240 Volts as the power source. Plugs and sockets have ungrounded 2 pin connections (Type C). You will need a plug adapter in order to use U.S. appliances and I would bring a few of them so you can charge a few things at once. View more information about electrical standards around the world. Italy is a very clean country & much different than developing countries. However, it’s a good idea to be up-to-date on routine vaccines before traveling to Europe. These vaccines include measles-mumps-rubella (MMR) vaccine, diphtheria-tetanus-pertussis vaccine, varicella (chickenpox) vaccine, polio vaccine, and your yearly flu shot. They have good doctors and hospitals and also dentists as I have been to them and have had great luck! As I mentioned earlier, it is a good idea to be in shape as we will be walking all over the place and hiking sometimes in the countryside. Sometimes, our hotel rooms will be up several flights of stairs and being in shape will help with this. That is why I also recommend carry on size luggage as it is so difficult to carry these up the stairs. They are not big on elevators in Italy and also much of Europe. 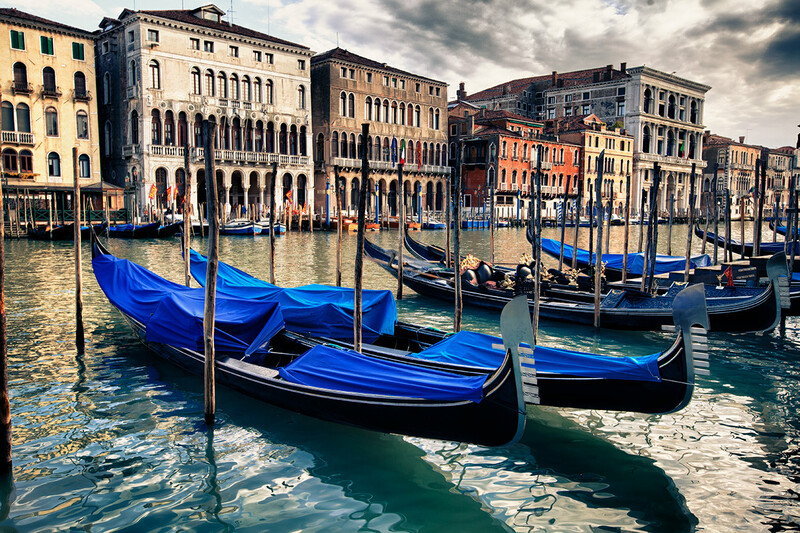 After arriving in Venice, you will take a water taxi to the stop nearest our hotel and meet in the lobby at the arranged time in our hotel. The next few days we will explore the one of a kind, “City on Water”. We will shoot throughout the day and also well into the night, which is one of my favorite times to photograph in Venice. 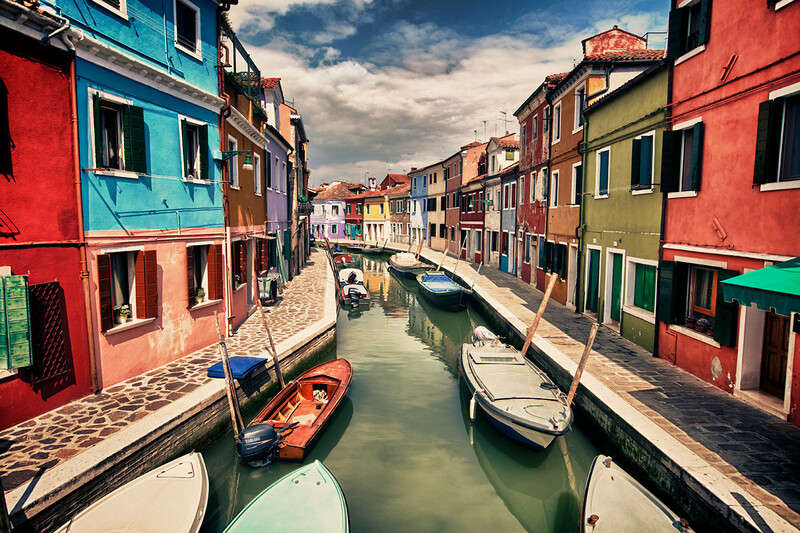 We will also visit the colorful city of Burano which is a feast for the eyes with painted walls and boats everywhere. We will also enjoy some of the best food on earth and eat as a group whenever possible and further our photography discussions. We will leave Venice by train and travel along the Italian countryside until we arrive in the one of a kind Cinque Terre. This is the “5 Earths” and pure beauty above the sea with photo ops in every direction. 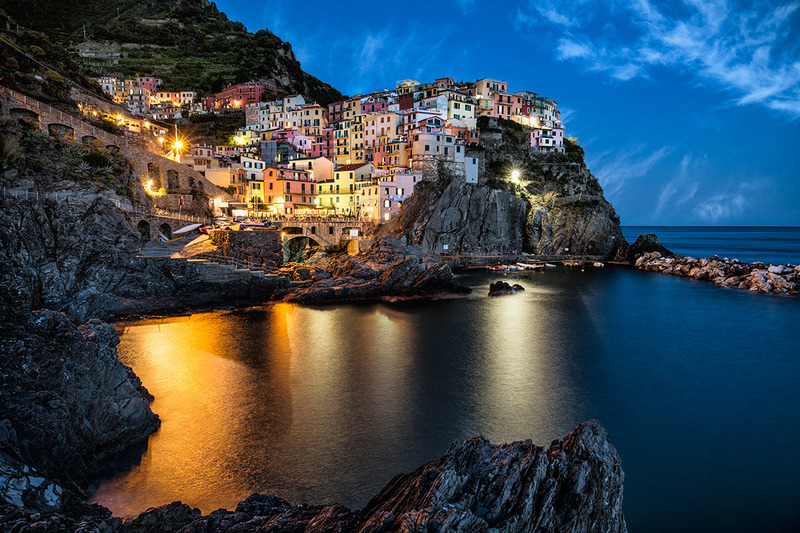 We will stay in one of the breathtaking towns of this amazing part of Italy and find some of the best vantage points for photography, especially after dark. 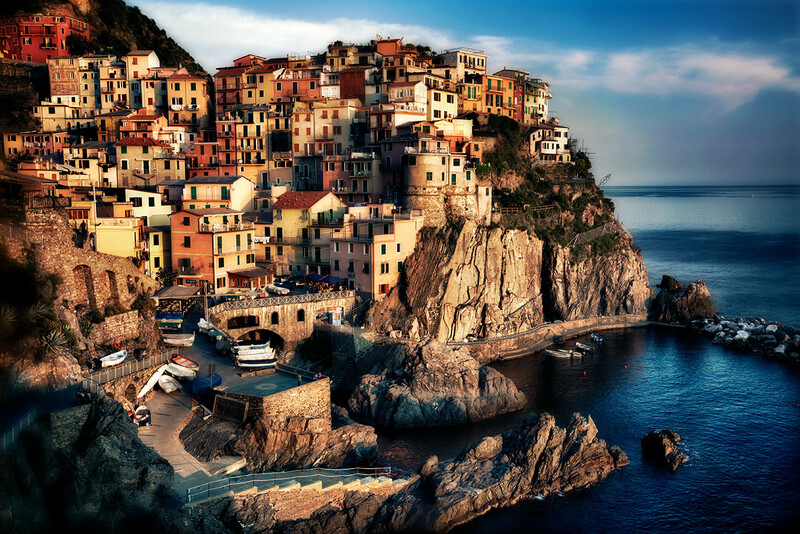 The Cinque Terre can only be reached by train or walking and is a rare treat for photographers. We will visit all five towns and capture stunning images of one of the most beautiful places on earth! We will leave the Cinque Terre once again by train and travel to Siena to get our rental cars and travel through Tuscany to our hotel in Val D’Orcia. 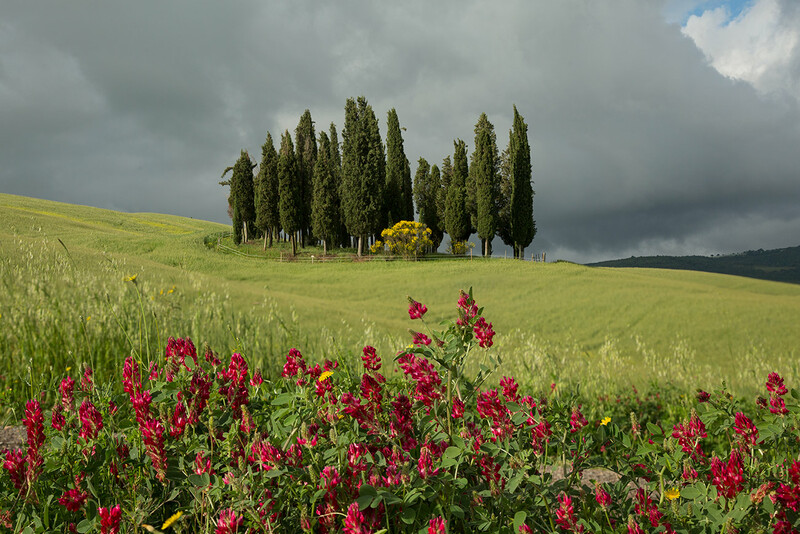 We will stay in the most photogenic part of Tuscany and drive in different directions each day, finding some of the most iconic spots in all of Tuscany including the home of Maximus, from the movie Gladiator. We will also spend an afternoon in the magical town of Siena, whose streets and Piazza Del Campo are are a step back in time. This is one of my favorite places in Europe to shoot and we will also enjoy great food in some special locations. We will travel to Florence by car and then head to our hotel in the center of Florence and spend 2 days photographing the spectacular beauty of this ancient city. From atop the Michael Angelo Piazza for gorgeous views of Florence from above to the Ponte Vecchio Bridge, one of the highlights of the city that was originally built in 996 AD to the cobblestone streets that are everywhere and so special for photography. 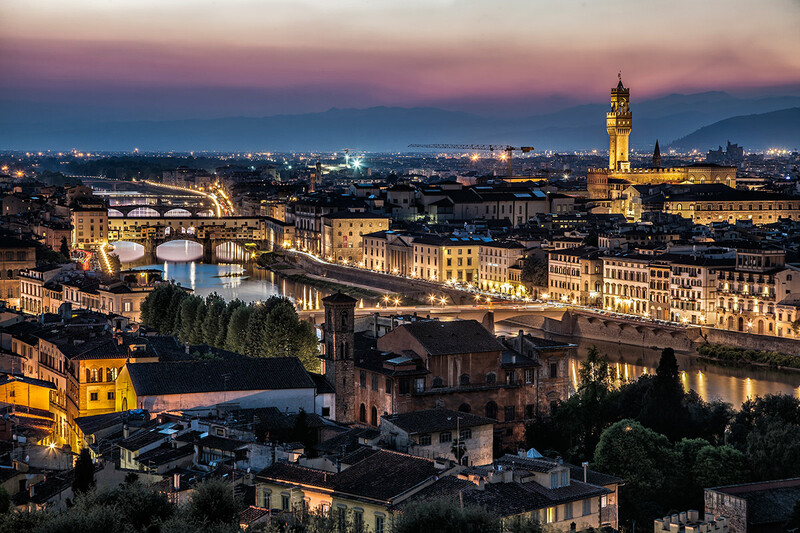 There is so much to do and see in Florence from Michelangelo’s David in the Academia Gallery to the Uffizi gallery, with some of the most important works of the Renaissance, including works by Leonardo da Vinci. There is also the exquisite Duomo di Firenze, the city’s most iconic landmark and well known for its distinctive Renaissance dome. We will look for great photo ops and also shoot the city after dark which is when it looks it’s best! We will leave for the airport on the last day, May 13th, for our journey home.